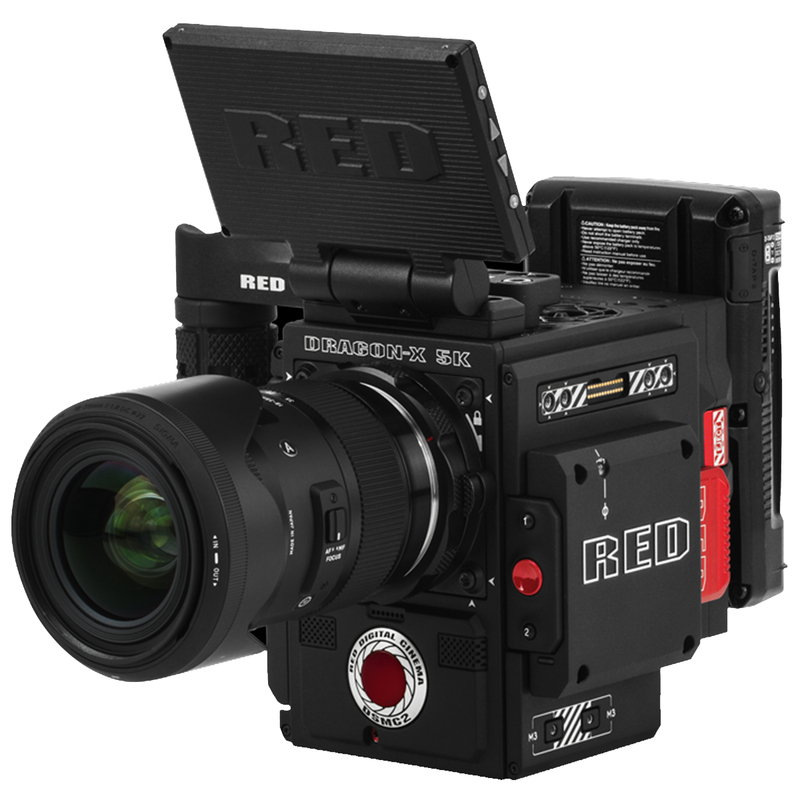 RED may have realized for itself that the market for S35 cinema cameras is just exploding from below. Blackmagic, Canon, Panasonic, Kinefinity and Sony now offer an almost unbelievable selection of cameras in the classic Cinema format around the 24mm sensor width, which are available ready to shoot well under 10,000 Euro/dollar and which deliver an image quality that no one in Hollywood had available 10 years ago. 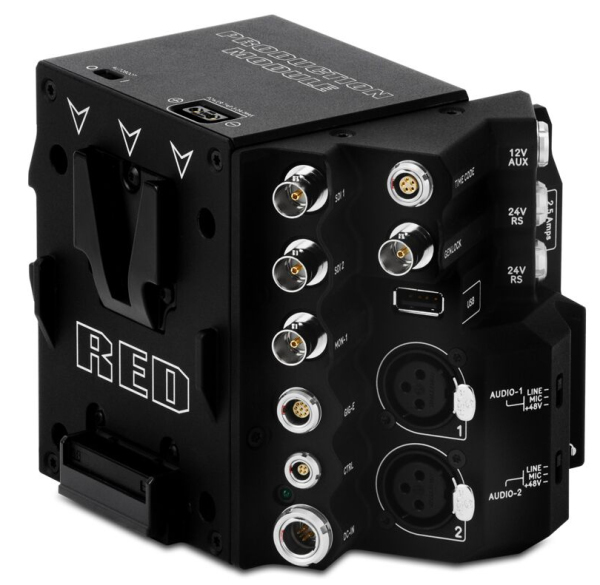 RED itself has been offering the RED RAVEN Camera Kit for about 15.000 Dollar for some time now, but obviously RED sees some market potential for the larger models with wider sensors. While the RAVEN is equipped with a 23mm wide 4.5K Dragon sensor (4608 x 2160 pixels, max. 120 fps in 4.5K Full Format), the new Dragon-X Brain now comes with a 25.6mm wide DRAGON X sensor (5120 x 2700 pixels, max. 96 fps in 5K Full Format , max. 120 fps in 5K 2.4:1). If you still need XLR inputs or more connectivity, you can also buy the DSMC2 production module presented here.